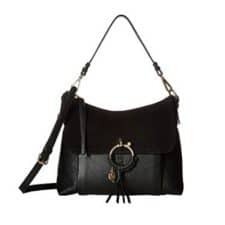 For a more affordable option, Cole Haan’s Fantine shoulder bag is on sale at Saks OFF 5th right now for $129.99–$189.99 from $378. « Should You Tell Your Colleagues About Your ASD? CDG timing question — how far in advance should we show up for a Sunday afternoon (2:30pm) flight to London? We’ll be checking bags because hello bringing home French goodies. I have limited experience, but I think it also somewhat depends on your airline. If you are doing a regular “big” airline, I’d say a normal 2-3 hours is fine. If you have any of the budget-ish ones (Icelandair, etc. ), plan more time. The lines at those counters are epic. Oh, and budget time to do the VAT refund if applicable! About two hours to be on the safe side. The French have an exit customs line that can take a while. Also, allow for some fluctuations in traffic/transit while getting there. Not sure what part you are flying out of, but there is a Ladurée macaron cart in several terminals and it makes flying so much better. agree with 2 hours. and second the Laduree rec! Taxes are super high for departing London vs transiting London, so the price difference doesn’t surprise me! Reposting from the tail end of the morning’s post: if you are applying for another position in your current (big) organization (think university), do you give a heads up to the hiring managers if you know them, or just apply normally through the system? In this case the hiring managers are 1) the Big Boss of my division of maybe 300 people and 2) a higher up guy I have met twice but don’t work with much. I would give a heads up and also apply through the system. To me, proactive always reads well, so when an employee from another division came over for a quick hello to let me know she’d applied (through the system) to one of our openings, I was favorably impressed by her communication and friendliness. Absolutely reach out to the hiring manager, either directly or through someone who will vouch for you. In my experience hiring for a large organization, when internal candidates apply, I’m always a bit confused if they don’t reach out or have a sponsor reach out. I will give an internal candidate extra consideration, but only if they have made an extra effort. How about backpacks for work? I’m looking for one that looks clean-cut (no rounded corners or scrunching) and can carry a 13” laptop. Ideally not over $150ish. I got one from Columbia that I like – it’s kind of soft-sided briefcase (unzips on 3 sides) that I can wear on my back. I can easily fit my 13″ laptop in the laptop pocket. I also like it because it’s not too long in the back – the bottom of the bag hits before my bottom curves out, so the weight stays against my back. I like this one! It’s not not-round, but it’s definitely not for sports or kids. I LOVE my eBags Professional Slim. Usually they are $200, but a bunch of colors are $99-120 on the eBags site. Totally not round, tons of great pockets. I really like everything I’ve gotten from eBags, and it lasts forever. I think the only thing I don’t like about them is their dumb name! But I personally use and love my GoRuck GR1. I leave a tote bag at my desk for if I need it. On a somewhat related note, I’m looking for a backpack for work. I want crisp, squared-off corners, hardware sturdy enough for a 13” laptop and a couple notebooks, size big enough to hold those, but not oversized, ideally not more than $150ish. Anyone ever drive down to Virginia’s furniture country (Farmville to be exact) to furnish their home or make a special trip to North Carolina where there are similar (and many more) towns with furniture warehouses selling practically everything you could want? Was it with it? I need 1-2 pieces of major furniture (bed etc) to upgrade my place and really could also buy 2-3 additional things. Part of me dreads the 3 hr drive from northern Va and spending like 5 hrs going thru warehouses. Part of me thinks – it’s only 3 hrs away and supposedly people fly from other areas for this kind of thing so just go. Any experience? High Point, NC native here. I can’t speak to Farmville (I have been there to visit friends at Hampden Sydney, but had no idea it was a furniture mecca). High Point can be worth it if you need several pieces of big furniture – a whole bedroom suite, a dining room set, etc. Shipping is not cheap though, so you have to really want to buy multiple pieces to make it worthwhile. The selection really is better than going to a local furniture store, but the prices are not dirt cheap by any means. What you’ll tend to find is unique pieces at a place like Furnitureland South where the original retail price is $12,000, the price you pay is still $5,000, and then you pay shipping (it used to be you didn’t have to pay taxes if you lived out of state, but something tells me that loophole may have been shut). You’d probably pay $5,000 or $6,000 for something similar at a store at home, but the quality will be better on the HP good. I went to FurnitureLand South when I lived in NC (>10 years ago), but that was only an hour’s drive. I didn’t find anything that was my style at the warehouses – a lot of floral and plaid couches. FurnitureLand South is definitely an Experience, but I thought the customer service was great back then, and the couch is still going strong. Obviously ymmv based on brand/type of furniture/etc. I ordered my nursery recliner from FLS (hoping they were a real company) with free shipping to my DC-area home. There was a particular Flexsteel rocker recliner I wanted and they had the best price. The service was fantastic. Glad to know it’s a legitimate place of business! I live in NC, so I haven’t made a true “trip”, but rather just went for the day to furnitureland south in High Point, NC. The place is MASSIVE. Times one hundred. You need to have a really, really good idea of what it is that you want before you go, because you will be walking likely at least a mile to see all of the versions of X furniture item. For example, about 5 years ago, DH and I bought a fairly standard (but extremely well made) upholstered bed from there. I’d buy it again, and I would shop there again, but we spent 6 hours there and per my fitbit, walked 25,000 steps all that day in search of it. That was one item. People fly in from other countries and spend weeks there furnishing a house. TL;DR – it’s great, but can easily be very overwhelming. Haven’t done Farmville, but I have done the trek to the Green Front store in Manassas and I can’t imagine it 5x bigger. Personally, I get overwhelmed in places like that. We spent a day in western Fairfax county hitting up Belfort, Sheffield, Arhaus etc and were able to find what we needed. May I suggest a place called Warehouse Showrooms in Alexandria? I’m not sure what you’re looking for, but we wanted some simple, classic, hardwood furniture for our dining room. (Think sort of shaker style, but they have a bit of everything.) They sell really high-quality hardwood furniture for a lot cheaper than you would get if it were brand name. … This is why I’ve had the same ‘it’s going to die any day now’ hairdryer that has been going strong for 8 years. I have promised myself I’m going to ‘upgrade’, but now it’s going to live forever. I know I could buy a new one but 1) wasteful and 2) clutter. This! I had my ‘good’ dryer go out one morning as I was getting ready so I was glad I had my old backup dryer. Or just keep the hair dryer because it’s perfectly good and getting a new one for no reason would be wasteful. I upgraded when my old one worked “just fine” because the new one actually works better – dries my hair faster. The cheaper one may function fine (as it physically works), but didn’t work for my life. So instead of wasting my time drying my hair, I can waste my time on other things. And I don’t see how donating something that works well is wasteful. Someone else gets to use it then. Literally this is my internal monologue on a daily basis. Which is why I’m not so much asking ‘what should I do’ as ranting that if I actually LIKED this hairdryer, I’m sure it would have died like 5 years ago, but because it’s simultaneously ugly and just ‘not really what I want’, it will live forever. Like reusable coffee mugs. If you have an attractive, classy one it’ll disappear within like 2 months. The ugly cow print one you got at the gas station or the obnoxious one your MIL gave you that 0% suits your style… 5 years later I’m still looking at a polka dotted travel mug with my husband’s last initial (not mine, mind you) on it. So true! I have very expensive shampoo that I don’t love that just will. not. run. out. Maybe I’m silly for not dumping it. Each time I want to dump it, I can’t help but replay the scene when I bought it and told myself I better use it all for that price. Shampoo as body wash and conditioner as shaving cream? For the wet shoes, put them against the bottom of your fridge instead. There’s a vent down there for warm air coming out of mechanism that cools the air inside the fridge down (is that the compressor coil maybe…?). That way you don’t have to hold the hair dryer and point it at them. I would have never thought of this! Growing up my parents were super strict about shoes in the house (we’re South Asian). Placing wet shoes near the fridge would have been a total no-go. It’s a habit that stuck with me. Shoes stay by the door or in the coat closet. I feel that. I’ve been telling myself it’s time to upgrade my phone for a while. It’s 4 years old, and really the only issue is it doesn’t have room for any new apps, and I usually have to give the battery a boost at some point during the day, but I’m managing so there’s no real urgency to go to the store and go through the process. Last time I did this I was at the AT&T store for hours, it was tedious. I have this same problem and then I will do what Anon mentioned and buy a new one but keep the old one for backup, except…I just keep using the old one. Why?? There’s been several discussions about Portugal lately. For those of you who have been – did anyone use TAP as the airline? If so, how was it? I just booked a trip to Portugal this spring, but am now seeing many bad reviews, and getting nervous. I’m planning to use TAP for an upcoming trip so fingers crossed. My experience with small airlines in Europe has not been positive. Every time I’ve taken RyanAir it has run several hours behind (even for the first flight of the day! how do you screw up the first flight of the day???). I once almost missed my connection even though I’d planned a 5 hour layover. So now if I have to use a puddle jumper I just make sure I don’t have a connecting flight. I would love an update after your trip with them! I have a flight directly to Portugal from NY, so no connections or layovers, hoping that helps. My main concern is that it seems like sometimes (frequently based on reviews – hopefully its just a situation where angry people complain more than happy people compliment!) they overbook and will bump people. I have flown TAP a couple times. It’s not fancy but it’s definitely adequate, in my experience. I have never had problems with delays on the few times I have used it (obviously a very small sample size). Yes. TAP is a normal airline. It’s basically the state carrier so it should be fine. I flew them to Portugal through the Azores a few years ago. Totally good airline, obviously not as luxurious as the Asian ones, but better than United/Delta etc. Reminded me a lot of Alitalia. I used TAP from London to Lisbon last week. Totally fine, well organised flight, on time. Fleet is newish/refurbished from what I saw. Flew TAP a few years ago, within Europe, and the day before our flight back there was an airline strike. Their communications were timely and relevant and customer service was pretty responsive and I ended up getting home without too much delay. It’s not a premiere or luxurious airline, but it was fine and the price was right. This is embarrassing but I need to get it out of my head and I can’t talk to my friends about it. I recently started having LGPs with a new guy. It is amazing, like I didn’t know what I was missing level of amazing. I’ve given him plenty of compliments but never said anything like, you’re the best ever, because I think it’s weird and icky to compare someone to past partners. Well the other night he said, this is practically the best I’ve ever had! Record scratch. As I said I think comments like this are a little icky even if you’re telling someone they get first place. But PRACTICALLY the best? I asked him what he meant by that and he stumbled a little, he said yeah it’s basically the best (ahem, basically is not an improvement over practically) and then he complimented some specific things. He clearly felt bad for putting his foot in his mouth. But now I can’t shake the feeling that I’m just not good enough. I know intellectually that the person you end up with might not be the best LGP (best LGP guy is in jail!) but I really didn’t need to know that he had more fun with someone else. How do I get over it? Oh, wow. I feel bad for this poor fellow! I don’t know how exactly you get over it, but I sure hope you’re able to! UGH what a dumb thing for him to say! Honestly I don’t think I would be able to get over that. Seriously? You would dump a guy with whom you have excellent fun times and who you otherwise like because he (slightly thoughtlessly but in an emotional state and with good intent) said out loud what you already knew — that he’s had other partners? That makes no sense to me at all. Give it some time so you can move up in the rankings. And get out of your own head. You aren’t going to be the absolute best at every category for every encounter, even in a great relationship. wait, I don’t get it. He said this is the best he’s ever had. Do you interpret practically as a substitute for almost/nearly/some version of not quite there? A specific culture that I’m from is known for being unable to give proper praise (‘not bad’ is our highest compliment). So I would have read his ‘practically/basically the best’ as ‘you’re the best’. No it was pretty clear that practically/basically meant close but no cigar. what I’m saying is, there is room for interpretation based on how different people use language. See anon below calling this a filler word. So I’d say, you can choose the most flattering interpretation in this case. Also, he clearly wanted to say something complementary, as evidenced by his being mortified when you took it not-so-well. +1 to choosing to hear the flattering interpretation. I’d probably chalk up the word selection to the lack of blood to his brain and not a criticism. I mean, isn’t that a sign of good LGP – inability for the brain to be coherent immediately after? +1 – this is exactly what I thought! I know I have a (admittedly bad) habit of sometimes using “basically” as a filler word, even when it isn’t needed. He’s saying you’re the best! Men! I think he’s sincerely – and perfectly – satisfied, though. Men do not overthink things. He’s likely to be honestly thinking – it does not really get better than this. Better could have been situational. Like on a yacht the first Summer after college (can we believe we are in this setting?) or in a canoe at summer camp (we may get caught). Look at it this way: if he said, you are practically the smartest person I’ve dated, would you be upset? I can be snobby about perceived intelligence but have known a few people who seem clearly smarter than others but could not function particularly well. Have more s*x and just assume that one of those times will be the absolute best & stop thinking about it. Whether it’s true or not is almost besides the point. You are both having a fantastic amazing time. Just enjoy it! I think with different people its like comparing apples to oranges. There are things that were better with a former boyfriend, but other things that are better with my husband. No one person is the best at every aspect of LGP. THIS. There is a lot more that goes into an amazing and meaningful relationship then mind-blowing $ex. You get over it by realizing that sometimes the $ex is going to be fine and sometimes it’s going to be great, and even if he’s the most perfect fit for you as a partner, you aren’t always going to have mine blowing $ex and that’s totally OK.
Don’t turn great $ex into $ex you can no longer enjoy because he gave you a complement that wasn’t exactly what you wanted. I’m sorry, but he is was trying to say something nice, and who knows, you may NOT have been the “absolute best, ever”, even though that is what you wanted to hear. In all likelihood, there ARE some things he has expereinced elsewhere that he has not reeived from you (yet), and you will ONLY get the gold star after you do those things, and do them better then whoever did them with him BETTER before. We all have to realize that we are NOT the best in everything we do. Even then, we still are pretty good, and after all, this dude probably has some room for improvement, too! So go to the bedroom–go DIRECTLY to the bedroom, and do NOT pass go, and do not collect $200 from him, or he might get the wrong idea! YAY!!!! SO here’s something that happened to me that might help just for like, getting over hurtful things that were said thoughtlessly. I’d been dating my now-husband (spoiler alert!) for about 4 months when the subject of these pretty bartenders at our favorite bar came up. They were legitimately great bartenders and they were always really enthused to see him/us and I knew he knew them from before. And they were hot, in a Coyote Ugly, dance on the bar way. I asked him, “Did you ever hook up with [One He Knew The Best]?” and he said, “Ahah no way! She’s way out of my league!” And I was so hurt because, like wtf am I, chopped liver? She’s out of your league and I’m …??? I’m likely going to be moving from my job as an employee to starting my own consulting business in the next few months. Anyone have any resource recommendations – books or websites that are helpful? My google search is turning up some good leads, and I’m talking to people in person, but I figured there might be some posters here who have experience/ideas. PSA for those who like Cuyana (I am a super fan) – they started making inserts for their zipper top tote that actually fit exactly in there & don’t add much weight. It’s annoying to have to spend an extra $95, but I’m so glad I did as it’s making my every day bag a lot more structured and organized now. I was this close to buying a Cuyana tote but found a different tote from Love41 Leather (the Pocket tote) and it has 8 POCKETS all over the tote. I got it yesterday and will be writing a review once I have a chance to really use it. It was $265, so better than the Cuyana + organizer and 100% of proceeds go to women and childrens’ charities in Rwanda. Only negative so far is that it’s not a true true black. Ooh I’m happy to hear they don’t add a lot of weight. That is what has been holding me back. I love my structured tote like a mama loves her baby. I have and love the Cuyana tote, and I have and love the Cuyana insert, but I politely digress that it does not add a lot of weight. The insert is made entirely of leather and I am pretty sure it weighs more than the bag itself, doubling the weight of it when all is said and done. You know, I think I’m still on the high of organization & was downplaying the weight in my mind – I think you’re right & it is a bit heavier than I was initially thinking. I’m still happy it’s more structured. I will probably not order it in that case. I’m pretty organized even in the big vast tote – everything in its own zippered pouch (chargers, makeup, etc) and it’s working fine for me this way. I’m impressed with your methods! Don’t get me wrong, I am happy I ordered it – I love the added organization, and it’s high-quality like the rest of their stuff, and having the structure almost makes it seem like a whole new bag! Just wish it was a little lighter! To what extent has money changed your friendships? TBH I always expected things to change when certain friends made partner and I picked up a government job. And really they haven’t because the partners bought nice homes but otherwise don’t live large, don’t fly to Europe 3x/year, are still vacationing at the Carolina beaches etc. Yet the friendship that changed is with the friend who is at a non profit. Can’t explain it but in nearly 7-8 years there, it’s like she’s become “anti money.” Like any of us making $ whether partner incomes or 200k in the government don’t actually NEED that much. She constantly talks about how we’re pursuing money but not happiness, how you don’t need that much to live or to retire, how her clients make it work living on 20k or 30k in NYC, how it doesn’t matter if you send your kid to a top college or a local u etc. She can live how she wants and I don’t criticize yet I feel judged because now after 15+ years out of law school, I find myself wanting the “nicer” things whether a luxury watch or car or nice hotels. I don’t talk about these things but if you’re wearing a 2k watch, it is visible. I’m surprised because I thought my partner friends would outgrow me and those friendships are the same and this one feels judgmental. Ever experienced this? I work in govt (previously in biglaw) and find that a lot more people here are judgmental about money/wealth. I would ignore these comments. Ditto. I’ve had the same experience. Funny if you’re all pursuing money rather than happiness, because she sounds like the miserable one that’s insulting you to justify her life choices. My guess is that she’s jealous/insecure, and is taking it out on people that are more financially comfortable or picked more prestigious tracks. Your partner friends are probably more satisfied with life and just happy to have your friendship. I can relate, although if you are friends over a long time, it’s hard to untangle things. My elementary school BFF and her husband have a HHI 2 or 3 times as my spouse and I have, but are constantly cash poor due to different spending priorities. Over the years, this has become more apparent to me and whenever she complains about not being able to afford a thing, I have a little judgy ‘you could, if you didn’t spend your money on X’ voice inside of me. This has definitely shifted the level of our friendship from literal BFF to good friend with a ton of shared history. But it might have happened if our income wasn’t so different. I feel it’s more of a personality thing that manifests in spending choices. Money has changed one of my friendships significantly. I have a friend who makes approximately my income but has a rent controlled apartment with a monthly payment 1/5 of my mortgage payment. She has no plans to buy and I wouldn’t either given how nice her apartment is. But she has become really cheap. Not thrifty but cheap. She’s always saying “I will come along and share your hotel room!” (Just the space not the cost) or saying “I’ll buy the tickets, you buy dinner” and then the tickets turn out to be nosebleed seats for $30 each and meanwhile her dinner + wine that I paid for cost close to $100. If this stuff was just one-off I would shrug it off and just figure it evened out over time, but it has become increasingly one sided, and now that I’m onto what she’s doing, I notice every single time and it annoys the crap out of me. Last time I went somewhere for a long weekend, I made it a point to only let it slip after I got back, because I didn’t want the “let me come along and share your room” thing to come up. We have been friends for a long time but I’m pretty sure this is going to kill it. Thanks for letting me get this off my chest!! That sounds frustrating but it also sounds like you are letting it happen! Turning down her efforts to mooch shouldn’t be a friendship ender. Next time she offers to split in a lopsided way, just say, “thanks but I’ll pay my own.” If you want to soften it, say you’re trying to get credit card points or something. I know you’re right but the fact that I have now noticed that she takes advantage of me, knowing full well she’s doing it, makes me not want to be friends anyway. Fair enough! I would be annoyed by this too. I have a former colleague who keeps asking to meet for coffee. We’ve met a few times and it was enjoyable, but the frequency in which he is asking for coffee dates is more than I’m interested in right now and that combined with a few off-hand remarks he’s made have me wondering if he’s ultimately wishing for more than just coffee. I would like to maintain a friendly relationship with him, but can’t get together as frequently as he asks and am definitely not interested in anything more. I just got an email from him asking to meet for coffee. Can you give me some wording suggestions? I’m flattered that you ask me to get coffee with you so often but my schedule is super packed. I feel badly every time I turn down the request and I don’t want you to think I don’t care about your friendship. Can we agree to just a once a month coffee hang out so we can catch up instead? I figure it adds in the word friendship, it sets boundaries, and it calls it a hang out rather than a date, plus it gets the guy to stop asking… and if he stops and it’s no longer in his frequent request place in his mind, maybe it’ll fizzle on its own without it seeming like you blew him off to him? I actually don’t think you should offer a long explanation. Just say no. You can suggest an alternate time (in two weeks or whenever you want) or something more generic like you’d like to catch up soon at [industry event]. Without airfare, I’d budget $2,000-2,500 for a week in Rome. We spent a week in Rome and Cinque Terre last year. I’d say we probably spent about $2500 excluding airfare but you can definitely do it for less. Hotels in Rome are expensive – we spent about $200 a night for a fairly modest place. We did 3 organized tours in Rome (Vatican, Ruins and Food) which were each about $100 per person. And then the train tickets were maybe $100 each. Those were our big expenses. Food and wine in Italy is very reasonable. I looooved Rome. I’m not a city person but that’s a city I would return to again and again. Adding that we went in early May and I thought it was a perfect time. It was not too crowded and the weather was warm but not hot. Sienna is beautiful and easy to get to from Rome (I would pick Sienna over Florence if I had to choose). I’ve heard others praise Orvieto. You have a point–it would not be that hard to do both! another vote for picking Siena over Florence. Budget depends enormously on what time of year you go. We spent two weeks in Italy this summer and the total trip cost was around $10k, but the flights alone were over a fifth of that cost because tickets in June are incredibly expensive. We also did stay somewhere fancy one night, but our other hotels were midrange. If you can get a deal on flights, I think you could do a week for $5-7k. I think where you go matters too. Like Venice is gorgeous but almost anywhere you stay will be pricey even if not fancy. I’d do Rome and Florence in October or early November. Hotel Europa in Florence is lovely and inexpensive. The Rick Steve Italy book has lots of good hotel recommendations. Also – maybe this changed – but paying cash and booking direct always ended up cheaper in the past. I stayed in a great AirBnB in Rome near Campo dei’Fiori for about $110 (US)/night last November. It might be more in the summer, In my view, that was definitely the way to go since it meant that I did not have to spend a lot on breakfast (just bought pastries and made coffee) and gave me more room. I bought the early entry to the Vatican Museum through their website. It included breakfast and cost 130Euro for two people. Worth every penny to get to the Sistine Chapel before the crowds. Food varied at lot. I generally did not find it was very expensive. We ate some nights in high end places that were pricey and ate pizza and gelato some nights. It would be hard to know how much it would cost for someone else because it varies so much. With respect to whether to go to another city, we spent the whole time in Rome. I was travelling with someone who really wanted to spend a day at Ostia Antica (which was wonderful) and a day touring the Appian Way and Aqueduct Park by bike (also wonderful). If we had not been doing that, I might have tried to take a day trip to Florence, but I did not want to rush through the stuff I wanted to see in Rome. Pretty much any hotel in Italy (even a budget one) will give you free breakfast so I wouldn’t consider that a point in favor of an AirBNB. You will get more space with AirBNB but I’m not someone who needs a lot of space unless I’m traveling with children. In my case, it was nice because I was staying with someone who was going to sleep more than me so I could get up, make coffee, run down the street for a pastry, and hang out/work in the living room without worrying about waking her up. I also liked being able to occasionally pick up food and bring it back to the room to heat and eat (I get tired of eating out every meal). Also, $110/night was much less than I was finding for hotels that were not super tiny. Having said that, hotel vs. AirBnB is very much a matter of preference! It might have been different if I was travelling by myself or with a SO. One of the things that I love about Italy is that you can eat really well without spending a ton of money. I’d budget $2,500-$3,000 and try to upgrade your accommodations a bit, if you can, since this is a special trip. For other cities, I’d suggest either taking the high speed train to Florence and spending a few days there, or spending a few days out in the countryside of Tuscany/Umbria. Orvieto, Siena, and Montepulciano are so so so lovely and some of our best vacations ever have been to Tuscany. There’s also a “when in Rome” argument for staying in merely adequate places, and spending all your time out and about. Depends how you like to travel, but I think of Italy as all about public space, so you can budget either way and have a good time. Random recommendation for Rome – we stayed a Sonino Suites in Trastevere. It’s definitely not fancy – it’s more of a “penzione” type thing, like a B&B but no breakfast is served – but it was clean and bright and we had our own bathroom, the tram was in front of our door and 15 minutes to downtown, Trastevere is a fun area, and there was a great coffee shop called Griselda where we had amazing breakfast every day. I would stay there again in a heartbeat – we went in March and it was super cheap (less than $100/night). Favorite sweaters that curve in at the sides? Looking for something more fitted and am finding mostly boxy styles. Bonus points if it’s low priced and if you provide the link! I was at a scheduled coffee earlier with a work friend – the coffee shop’s right in our building – and she got up in the middle to go say hello to someone in line (someone else in our company.) She was only gone about 2-3 minutes and said she’d be right back, saying she just wanted to say hello, but it was still strange. I was just sitting at the table, close enough for her to introduce me, but she didn’t do that -just kind of chatted while i awkwardly played with my phone. I genuinely think I sometimes just don’t recognize social mores but this struck me as pretty rude. What’s your take? A friendly coworker got up from your mutual table to go say hello to her Orange Theory/whatever friend? Have to say…I’d be ok with that on the receiving (your) end and I probably would have done it (your coworker) myself. I think of it as more of an indication that she’s comfortable with you that she doesn’t have to stand on formality. I agree it’s weird and rude. If she just wanted to say hello, she could’ve just waved and then gone back to the conversation she was having with you. I would have done what she did. I also am one of those people who forgets to introduce someone I’m with because I’m really excited to see my friend. If it was like, an informational interview or a very serious conversation, I could see you feeling like she wasn’t paying attention. But, if it was “hey let’s get coffee and catch up this afternoon!”, no big deal. I wouldn’t bat an eye at this and I don’t think it’s rude. I would see it as normal. Not a big deal. If she stood chatting for 15 minutes, yes, rude. But it sounds like it was a short time. I’m almost one year into a law clerk role that’s typically expected to be two years (no contract or letter confirming that, state trial judge, actual duration has ranged from 6 mos-3 years). I’ve been encouraged by other former clerks to start applying for the next job at the one year point. Separate from that my boss is extraordinarily difficult (a fact well known to counsel in the area) and working conditions are deteriorating right now. Wondering if I need to be concerned about how it will look for me to start applying now and express interest in positions that are opening up prior to the expected two year point or if I’m just overthinking it because I’m stressed. Major market, some prior litigation experience. Perspectives welcomed. Career state court person here. Same situation where I am. Maybe we’re even in the same state – NY? It’s not weird. Start applying. Difficult judges are well known. No one will judge. It’s unclear from your post if you’ve been extended or your term is ending and not being renewed; fwiw, I’ve worked with difficult and ‘easy’ judges and all would have been fine with a clerk leaving after a year and no one would be concerned on the hiring end about it either way, at least outside of court. If you’re just going to be applying to a new law clerk position, it might be a bit weird to leave after only a year unless you were stitching to a career position or a specialized court, but there are also always exceptions made for difficult judges. We know who they are!